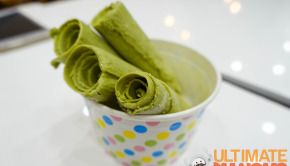 If you follow us on Facebook, you’ll know we’ve been a little crazy over desserts recently. 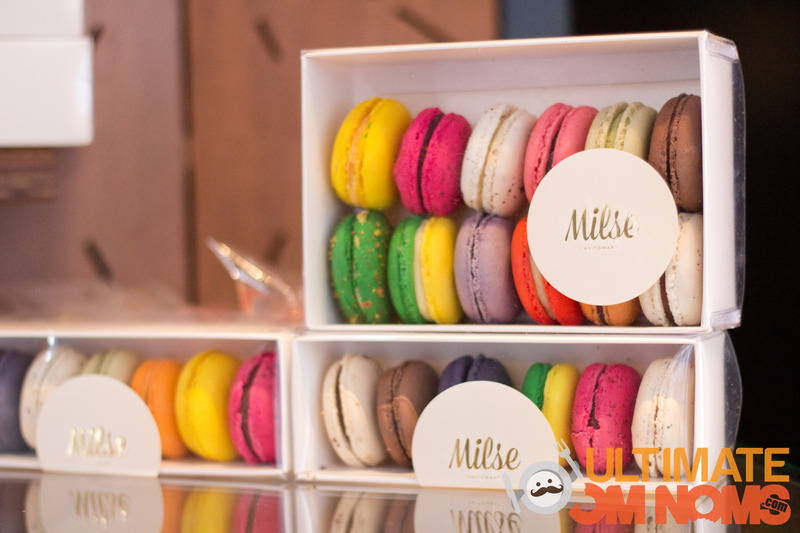 And most exciting, over Auckland’s first dessert bar and restaurant – Milse (Gaelic for “sweet things”). New Zealanders are known for being sweet tooths but there has never been such a dedicated dessert restaurant to boast an a la carte or degustation menu. You can easily slip past without knowing. 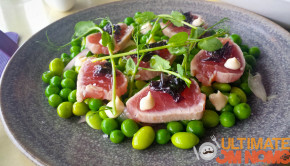 Nestled behind The Pavilions at Britomart, it’s secluded from the central buzz but has a sophisticated atmosphere of its own. 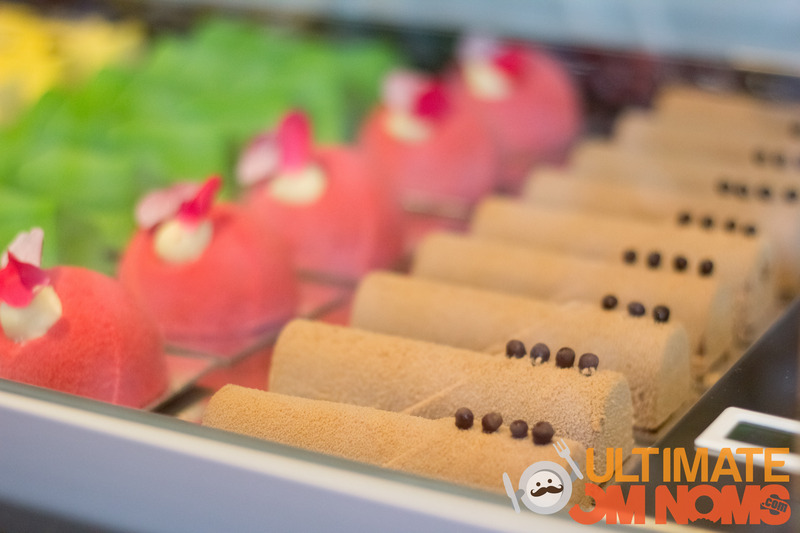 Rows of exquisite cakes, gelato on sticks and tarts are on display in tight glass cabinets. 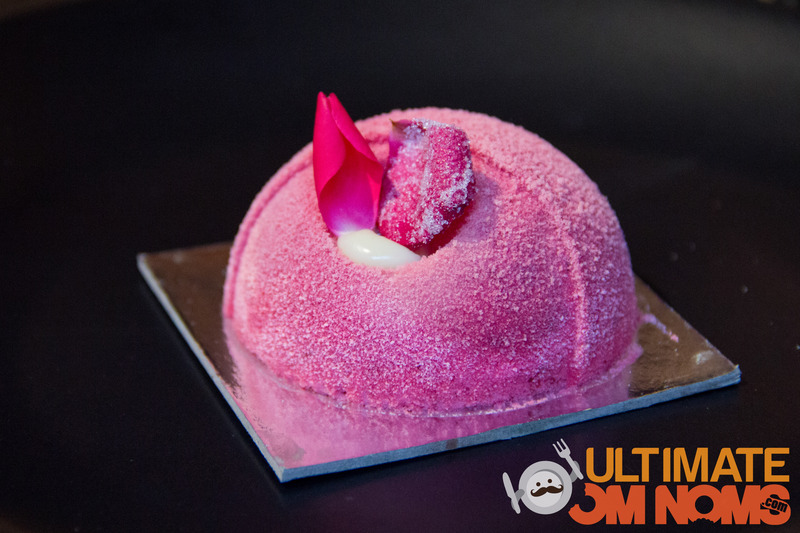 We headed in to have a chat with the pâtissier heading up the place – Brian Campbell, originating from Scotland; prior to Milse, he worked in Michelin-starred restaurants abroad as well as honing his skills at Bracu, Tetsuya, French Cafe, and Kermadec. Remember the dessert with the nitrogen at Kermadec? That’s right… he was the mastermind. This idea of a dessert bar had always been brewing at the back of Brian’s mind, until the opportunity popped up and for three months he was actually project manager – sorting out the logistics, design, and style of the whole place. And now it’s finally open. Brian gets most of his inspiration from travelling and so you’ll find both Kiwi favourites and intricate gateaus on display here. Also inspired by seasonal fruits, we can expect the freshest ingredients to be used. We’re waiting for something feijoa influenced to appear in these cabinets! Because this is such a petite place, everything is pretty much custom designed so that boxes, equipment, shelves fit just right and no space is wasted. How petite you ask? Milse only seats 16 people. 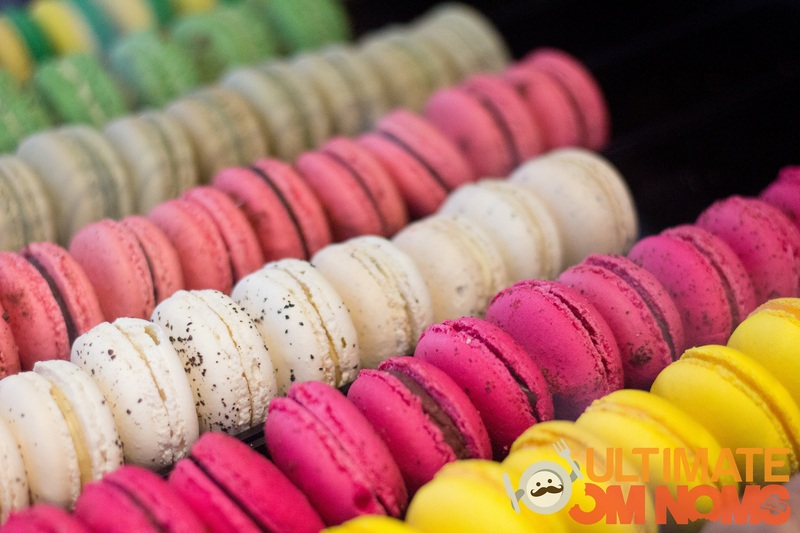 The real exciting part about this little place isn’t the colourful macarons or fancy cakes in the shelves, it’s really the fact that soon Milse will be open for dessert degustation – so guys, if you really want to sweeten your lady’s night – this is definitely the place to be. 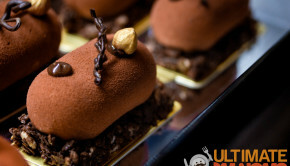 I can just imagine a small dinner on the savoury side, then having a huge dessert degustation for the rest of the night. It wouldn’t be your typical fine dining at all! The first treat to catch my eye was the rose and berry gateau. Not normally a fan of flower scented desserts, the sugared rose petals were hard to resist. It was beautiful inside and out – the light raspberry mousse and rich rose water brûlée melted in my mouth. 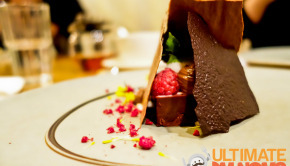 We also tried the different chocolate mousse cakes – those are highly recommended if you’re a chocolate lover. The chocolate is dark and decadent and will make you keep picking up your spoon. 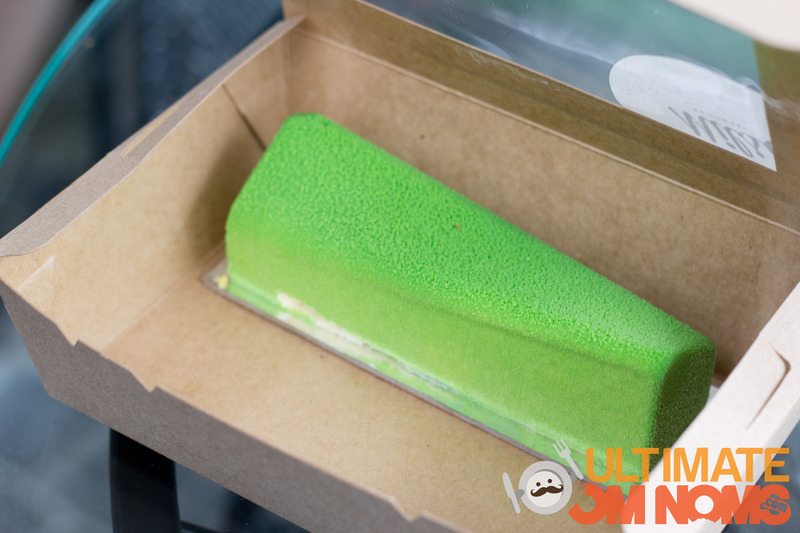 If you’re a fan of sweet cream and passion fruit, you’ll love this little thing. 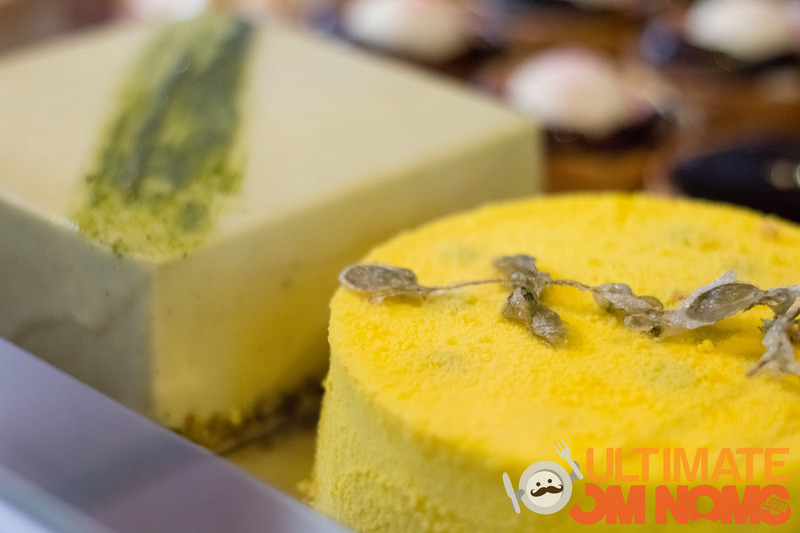 Cream on the outside, with a green tea sponge on the inside mixed with passion fruit. Though I must say, the sweetness of the cream and the sourness of the passion fruit did drown out the green tea quite a bit, making the green tea taste very subtle. 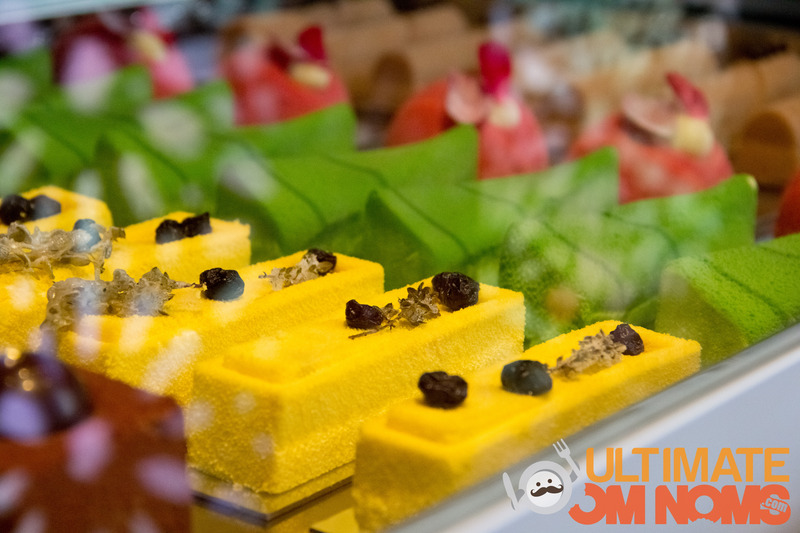 One thing to notice about the sweets in Milse, all are vibrantly coloured and this can put you off knowing how much colouring was used in the creation process. Milse is incredibly popular right now. Every time we’re there, we find ourselves sucking our stomachs to let waiters and other customers past through the tight corridor that houses the sweets. If you’re planning to impress and dine in with a group of more than 4 – you’ll be looking to wait at least half an hour on a late night. Worth the hype? Yes, you definitely want to visit Milse. 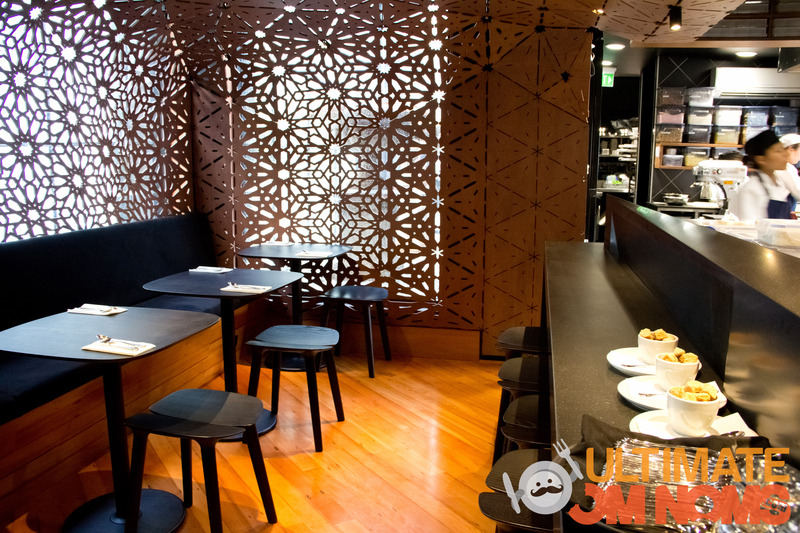 Just to see the beautiful lattice walls and spot the 5 air conditioning units that keep the desserts in tip top shape. Then you can agonise over what to try out first. 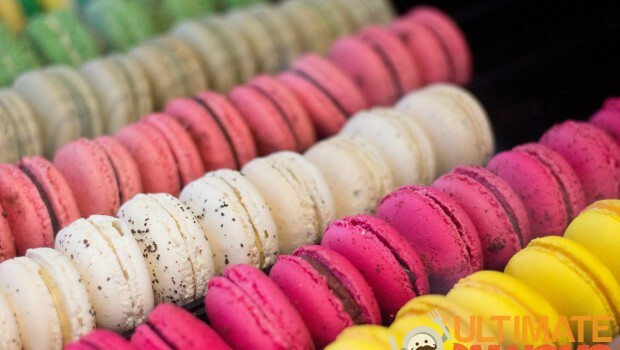 Chances are, you’ll probably take away some macaroons home to make someone’s day :).